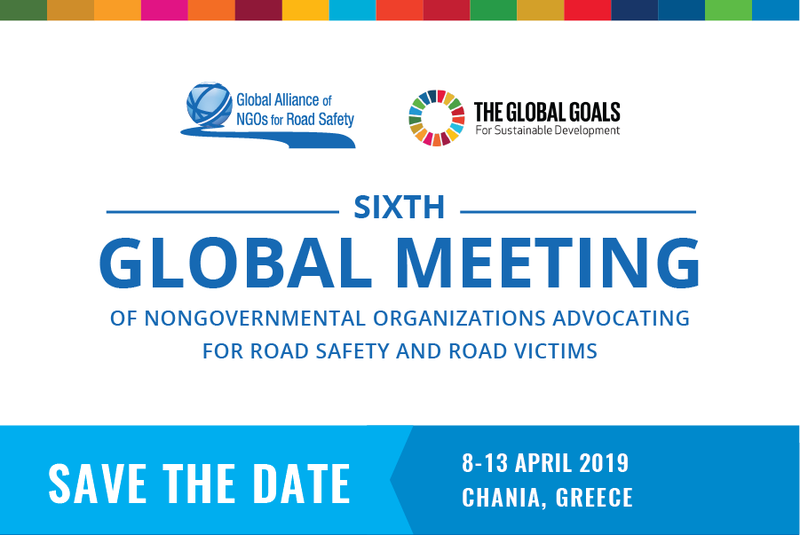 The Sixth Global Meeting of Nongovernmental Organizations Advocating for Road Safety and Road Victims will take place between the 9th –13th April 2019, at the Avra Imperial Hotel, Chania, Greece. The Sixth Global Meeting will be the biggest gathering of road safety NGOs and stakeholders in 2019 and the most important event leading up to the end of the Decade of Action for Road Safety 2011–2020. It will feature training sessions, workshops, networking opportunities, the General Assembly, and, for the first time, a high-level symposium on road safety. The Global Meeting brings together NGOs, global road safety stakeholders, funders, and decision makers.